Jabalpur is one of the largest cities of the state of Madhya Pradesh. Please find below the list of topics providing useful info on the city .On regular basis we keep on updating this list and when we find more information about various interesting topics related to Jabalpur we include them in our directory. If you know any good places around in & around Jabalpur or any other relevant info than please feel free to write us with relevant information / photo / videos etc. 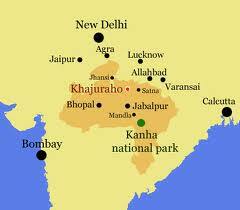 We will include that here on Jabalpur Directory.com with due credit to you.